Two volumes. Original brown cloth gilt. Very minor fraying at foot of spine, minor stains. About fine. Cloth case. 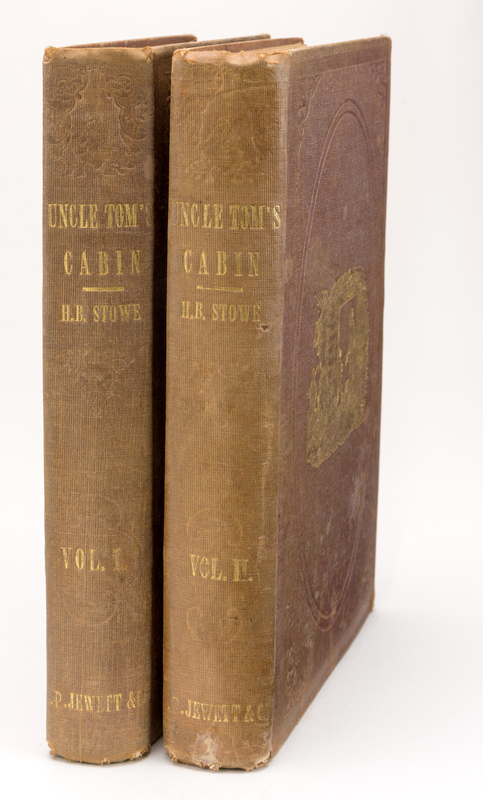 There is no doubt that Uncle Tom’s Cabin is one of the most influential novels ever published. “It is a great human document that stripped away the protective atmosphere from the sacred institution [slavery], and laid bare its elementary injustice” (Parrington, The Romantic Revolution in America). Provenance: the noted collection of Frederick W. Skiff, with his bookplate. Printing and the Mind of Man 332. Grolier 100 English Books 91. Grolier 100 American Books 61. BAL 19343.